Liberty Sealcoat extends the life of your pavement. Protects against drying from the sun, stopping 100% of ultraviolet rays and oxidation. 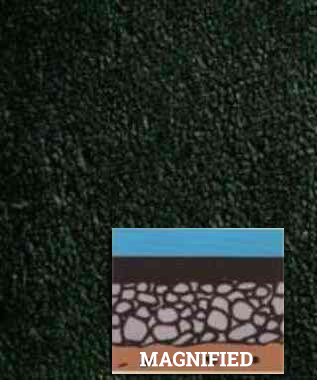 Prevents moisture damage and water damage. Resists damage caused by gasoline, oil and other chemicals. Can save you as much as 343% over the life of your asphalt investment. Oxidation is the No. 1 reason why asphalt breaks down. 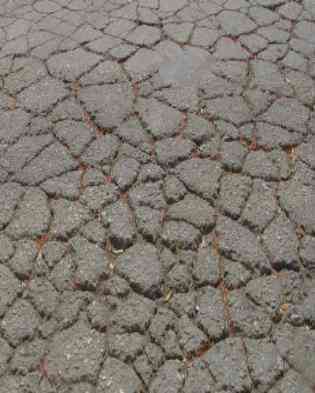 The drying action of the sun causes the asphalt surface to become brittle. Moisture is then allowed to penetrate the surface, causing irreversible surface damage and jeopardizing structural integrity. Gasoline, oil, antifreeze and other chemicals from parked and motoring vehicles soften the asphalt surface, also causing irreversible damage. Sealcoating Asphalt Will Save You Money! Your unmaintained, unsealed asphalt pavement will likely require repairs after the first two years. Furthermore, this unmaintained surface may require overlay as early as seven years versus 15 years for a maintained parking area. According to a study performed by Girish C. Dubey, chairperson of the Pavement Coatings Technology Center at the University of Nevada at Reno, maintaining asphalt pavement with seal-coat every three years saves an average of $15.25 per square yard, or $152,500.00 for a parking lot averaging 10,000 square yards. This translates into more than 48 percent in savings over unmaintained asphalt. Covering asphalt with sealcoat is a small expense that secures an increase in lifespan of about 300 percent, as well as the aforementioned maintenance cost savings. Parking lot maintenance is most economical when consistently performed from the outset. However, it is never too late to implement a maintenance plan that will optimize your current pavement's condition and prolong its life.